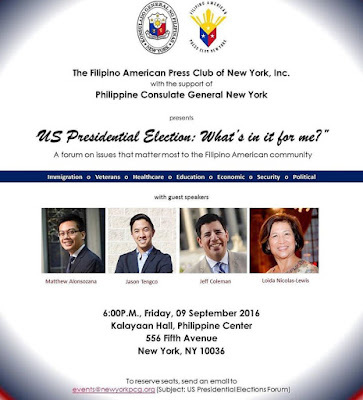 The Filipino-American Press Club of New York, in cooperation with the Philippine Consulate General of New York invites you to join the conversation, featuring speakers representing the Democratic and Republican political parties. 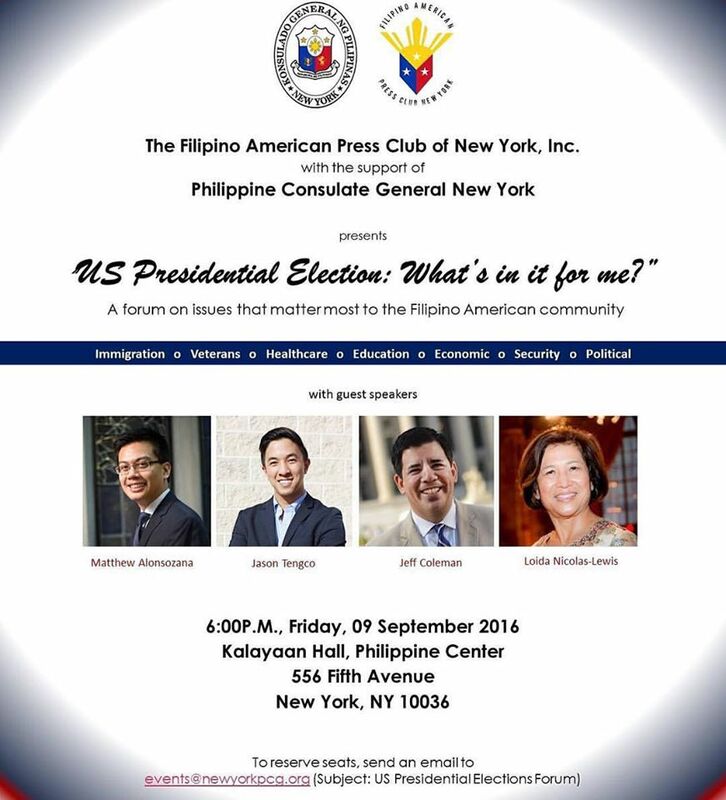 Ask the questions that matter most to our Filipino-American community, such issues include immigration, educational and healthcare reforms, national security, veterans, labor and other political matters. Speakers: Loida Nicolas Lewis and Jason Tengco for the Democratic Party, Jeff Coleman and Matthew Alonsozana for the Republican Party.